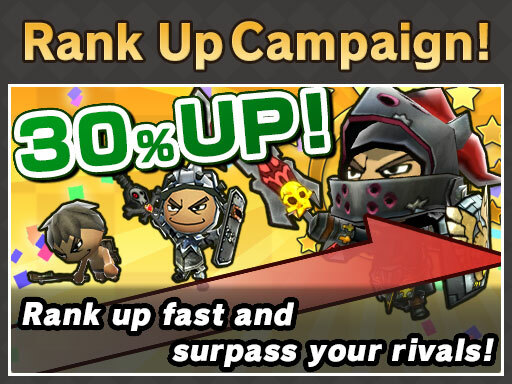 The Rank Up Campaign is here! Score received by players in multiplayer modes such as Quick Match and Co-op Mode is increased by 30%! The more score you have, the higher your rank. A higher rank allows you to equip heavier items, Which allows for even more powerful (or fashionable) characters! This week is your chance to prove your Happy Wars mastery and aim for the max Rank of 60!